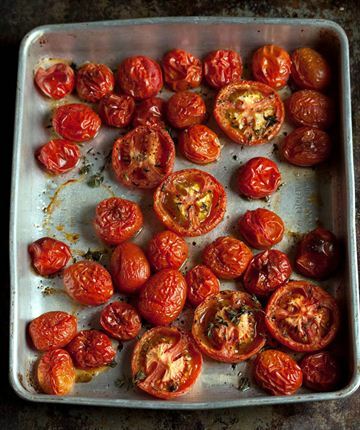 Roast the tomatoes until they become soft and caramelised. For the full recipe click here. 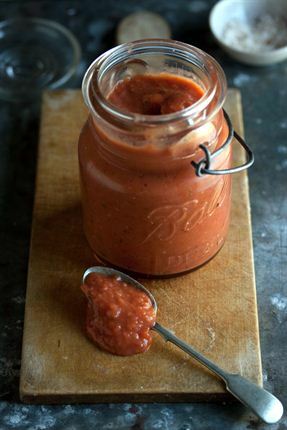 Blitz up the roasted tomatoes with a hand blender for a rich and flavourful sauce. 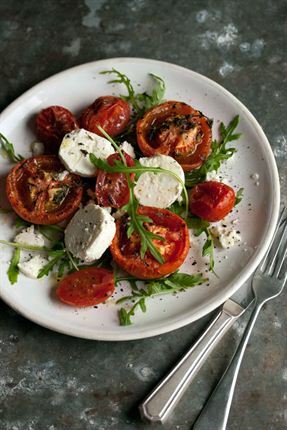 Roasted tomatoes make the perfect vegetarian salad with some goat's cheese and rocket.